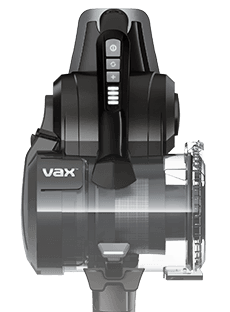 Payment Plan of 4 x monthly instalments of £40.00 applies to Vax Blade 24V Pro Cordless Vacuum Cleaner only, additional items to be paid in full at checkout. Our specially designed floorhead has been intended for optimal pick-up performance on every floortype. The Vax Blade 24v Pro will effortlessly glide across floors and much more. Our innovative detachable handheld is perfect for stairs, pet hair removal, cars and upholstery cleaning. The cleaning wand is ideal to elevate into those hard to reach areas whether up high, down low, or in-between. The Lithium battery carries a 35 minute runtime, giving you enough suction power and time to clean your whole home without re-charging. The Vax Blade 24v Pro has Direct Helix Technology™ which provides three-dimensional support inside the horizontal dirt bin, intersecting the cleaning wand giving a direct air path from the floor to the cyclone for maximum performance and efficiency. Extra suction power for picking up stubborn dirt, pet hair and for use in high traffic areas around your home. For the full 35 minute runtime, switch to normal mode. This gives you enough power to clean your whole home in one go. *UK’s best-selling cordless vacuum September 2016 – August 2017. Blade 24V provides twice the runtime in boost mode & up to 75% more runtime in standard mode Vs published runtime claims in October 2017.